For longtime users of Stringify, the recent news that the app will be shutting down on July 1, 2019 may be disheartening. 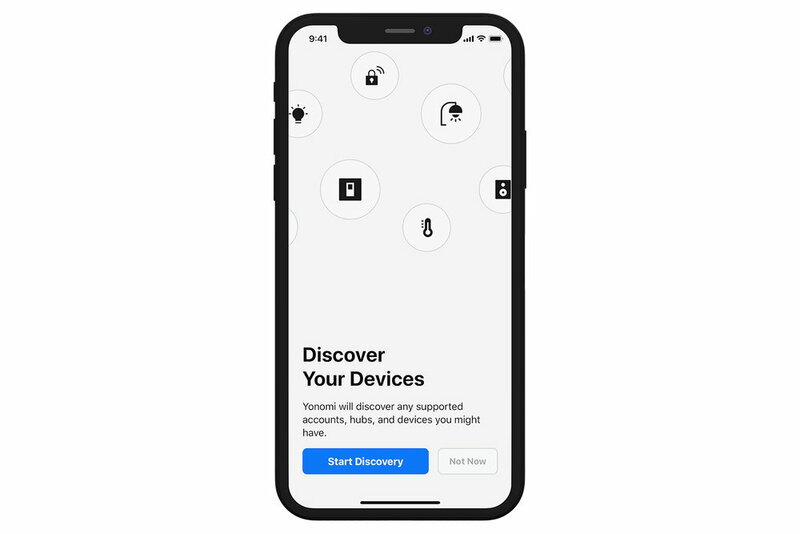 After nearly five years of development, CEO and Co-Founder Mike Yurochko announced in a blog post that their team is shifting their resources away from the Stringify app to focus on new connected home experiences at their parent company, Comcast. However, users of Stringify need not worry. Many of the smart home features you’ve grown to love in the Stringify app are also available through the free Yonomi app—and then some! By following the tutorials below, you can migrate all of your devices and Flows (what Yonomi calls “Routines”), and keep your smart home automations running without ever skipping a beat. How Do I Get Started With the Yonomi App? Getting your existing Stringify devices like Philips Hue, LIFX, Nest, and Harmony synced to Yonomi so that you can begin recreating all of your favorite Flows is incredibly simple. Once you download the Yonomi App for iOS or Android, you can sync most of your current Stringify devices as well as Sonos, Schlage, Wemo, and more. Click below to access our tutorial to getting started with Yonomi, and you’ll be set up and running your new smart home Routines in no time! What Can I Do With the Yonomi App? Yonomi is a smart home app. It was designed to be the best and easiest way to create automated Routines and sync all of your smart home devices using a single app. When it comes to smart home control and automation, there are few apps or hubs that are more versatile or useful — including Amazon Alexa and the Google Assistant. When it comes to recreating the smart home features of Stringify, you’ll find that Yonomi does nearly everything that Stringify can do and then some. Like Stringify, Yonomi can trigger automated Routines based on the time of day or your location. You can also use our integration with Amazon Alexa and Google Assistant to run your entire home using just your voice. Due to our years of specialization in the smart home, Yonomi can also do some things that Stringify can’t. As one of the first members of the Works With Sonos partnership program, we have worked directly with the Sonos team to create one of the best smart home experiences for Sonos owners. iOS users will also be thrilled with our support for Siri Shortcuts, allowing them to trigger smart home Routines through their iOS device or HomePod just by saying, “Hey Siri”. What Can’t I Do With the Yonomi App? There are other things that Stringify can do that Yonomi is not designed to do. As the “Internet of Everything” app, Stringify has worked to marry both smart home automation and digital automation. With Stringify, you may have linked your account to some of your favorite online services like Twitter, Slack, or Google Calendar. Yonomi doesn’t support these types of connections and doesn’t plan to in the foreseeable future. To sync your favorite apps and online services, we recommend checking out IFTTT. Meanwhile, keep an eye out for even more smart home integrations and features coming from the Yonomi App in 2019. What Are Some of the Latest Updates to the Yonomi App? For those that have tried Yonomi in the past, you may notice that a lot of new features and integrations have been added since you last installed the app. 2018 was our engineering team’s busiest year yet, and our roadmap for 2019 only looks to eclipse that. Below are links to some of our most popular updates from the past year. Be sure to subscribe to our newsletter and follow us on Twitter, Facebook, and Instagram to be the first to find out about updates! What Else Does Yonomi Do as a Company?